One of the common reasons attorneys contact legal nurse consultants is because they are handling a case involving a fall. Or as the attorneys like to call them, “fall down cases”. Falls in the nursing home may result in no or mild injury, and you are not going to hear about those cases. But the nursing home resident does not always get off that easily. Falls in nursing home residents may lead to catastrophic damage as the patient’s frail bones are fractured, leading to immobility, pneumonia and death. Why do older adults have falls in the nursing home? Was there any intervention that should have been ordered but not present? Were all the fall precautions in place? I want to share details of online training that directly addresses the setting of a case. Do you want to sharpen your skills in understanding nursing home litigation and liability issues? 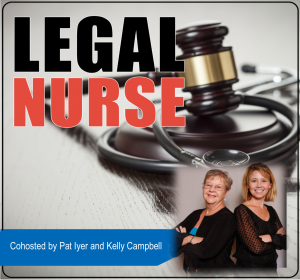 Are you a legal nurse consultant who has not worked in a nursing home, but yet needs to assist attorneys with nursing home litigation? Are you a nursing home expert witness who wants to broaden your knowledge?